The Workshy, is an eclectic six-piece funk group based out of the Denver area, that provides an incredibly energetic live show by pulling influences from jazz, blues, funk and more to create an infectious blend of music. With members from L.A, Washington, New York, Iowa, and South Korea; The Workshy is able to create a sound that is unique as their roots. 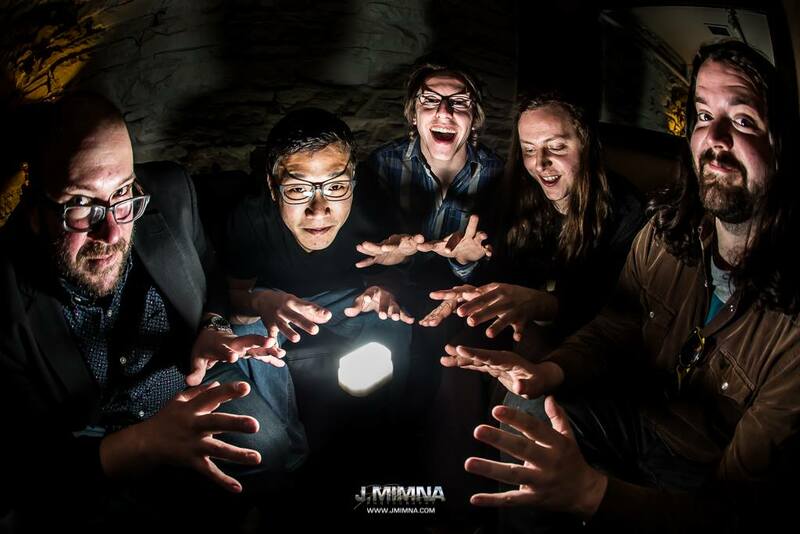 The Workshy’s constantly evolving sound is stronger than ever allowing them to open for such acts as Jazz is Dead, Euforquestra, Great American Taxi, The Word, Fruition, Radio Moscow, and Juno What?! Playing such festivals as Wakarusa, Camp Euphoria, The Bella Festival Series, and 80/35, The Workshy is captivating crowds and building a strong following around the national music scene. As Mary Buck of the Des Moines Music Coalition put it “Don’t be surprised if you find yourself smiling unwittingly. It just sounds fun.’Didn’’t these guys open for Jimi in’70?’ Nope. ‘Nah, they were on Festival Express with Janis and The Band.’ Wrong again. It’s The Workshy”. Friday is coming up quick! Pumped to be back at Cervantes Masterpiece Ballroom Otherside playing with The Big Wu! Use promo code "workshy" for $13 tickets at the link below! It's gonna be a party! The Big Wu - Album Release Party w/ The Workshy - Tickets - Cervantes' Other... Friday is coming up quick! Pumped to be back at Cervantes Masterpiece Ballroom Otherside playing with The Big Wu! Use promo code "workshy" for $13 tickets at the link below! It's gonna be a party! This Friday!!!! Tag a friend, and share this post for a chance to win TWO FREE TICKETS to the show!!! See y’all there!!!! 3/29 • The Big Wu - Album Release Party w/ The Workshy Comments Ali Jay Penny Cooper let's boogie! Doing the thing at the end of the month. Get at us for fee free tickets! The Workshy is at Cervantes Masterpiece Ballroom. Dnc New single is out today everywhere! Recorded with Joshua Fairman at Scanhope Sound. Mastered by Clark Smith. See ya'll Thursday at The Workshy w/ Dog City Disco at Mile High Spirits!! The Workshy w/ Dog City Disco at Mile High Spirits. Next week. Party time. Mile High Spirits 2.7.19 We'll be bringing the heat to Mile High Spirits - Denver's Distillery. Get your tix today! In the meantime check out this video from Scanhope Sound. Thanks to Ben Fout for the shots/editing. DENVER!! It's been a minute. We will be bringing the heat to Mile High Spirits - Denver's Distillery on February 7th. Hope to see you there! The Workshy is feeling excited. Comments Nice!! I have a question for you: Who is Melvin and why is his cup of Joe moldy? Comments Melvin seals pot of coffee was left backstage at a venue . It was lumpy and gross. Stoked for our debut at the 20th Annual NedFest Music and Arts Festival! We will be hitting it on Saturday! Timeline Photos Heya folks. Gearing up for our debut at NedFest on August 25. See ya soon!! See your interview and song from the FUNC FEST in Montrose CO!!! Saturday: Rocky Mountain Underground (Breckenridge) Comments Love it! You gays are awesome! "Where have you guys been?! What have you been up to?!" STOKED. Spread The Word Music Festival had been getting better and better every year. This is gonna be a party. See you at Spread The Word Music Festival. Hit us up for some tickets!! Spread The Word Music Festival coming at ya!! See you soon!! Photos from The Workshy's post Shout out to our homies Joshua Fairman, Eric Luba and Will Trask!! They'll be crushing Red Rocks today with SunSquabi. We ❤️you. Comments The Workshy Photos by Keith Hicks Imagery! See you tonight at Stage Stop you stoners! Catch us tomorrow at Stage Stop. We be at Stage Stop on 4.20 mon. Event below! Catch us 4/20 at Stage Stop. Photos from The Workshy's post That was fun Denver. Next stop is Stage Stop for a 420 throwdown!! Check out the photos from our Boulder Theater gig a few weeks back. Photos by Jim Mimna. Today's the day folks. Consider The Source / The Workshy / Mad Pow is tonight!! The Workshy is at Lost Lake Lounge. 's cover photo The Workshy updated their cover photo. A few days until we hit Lost Lake Lounge opening for Consider the Source, come out and rage Friday the 13th with us! Still have a few cheap tickets, message us if ya need one! Gearing up for another Denver throwdown April 13th with Consider the Source!! We've got fee free tix for anyone looking to catch the show. See you soon! !